I’m so glad the SFMOMA is open again! My wife and I went on a mini vacation and took a day to see the new SFMOMA. I really like the new design. There is a lot of raw wood grain that gives it a warm inviting feeling. It isn’t a stark cold museum. The floor plan is nice and wide open and the art is well organized. 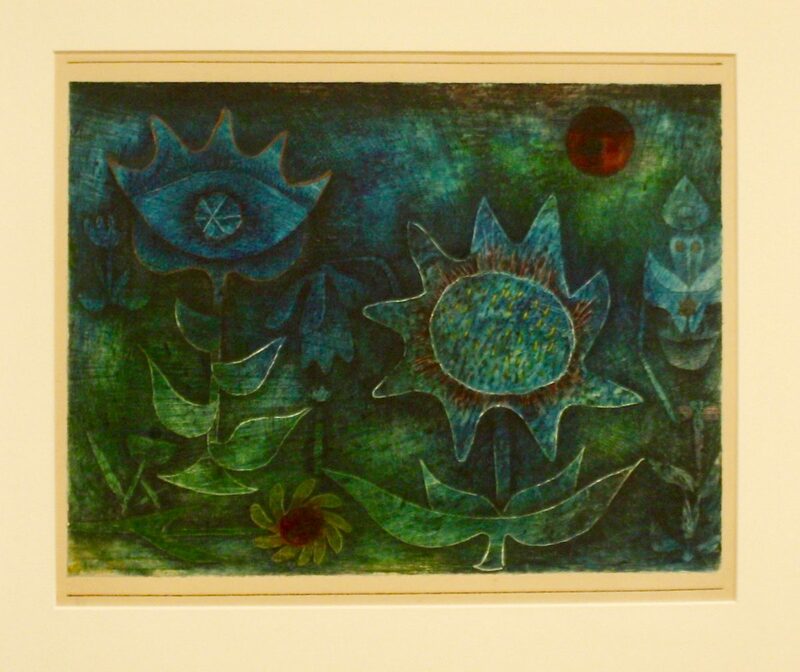 They have a whole room dedicated to Paul Klee. 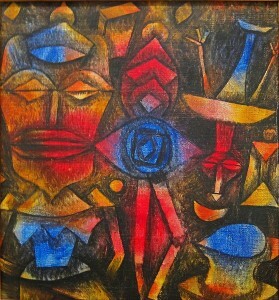 Paul Klee is one of my favorite artists. His work is very whimsical and child-like. Klee expresses freedom to follow whatever idea comes to him but he executes it very thoroughly. He has great sharp line quality. He creates vibrant color schemes. 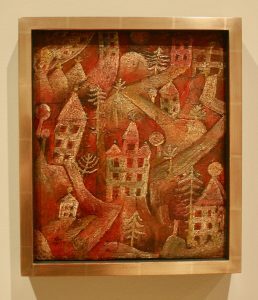 His work also displays unique textures that hold your interest. 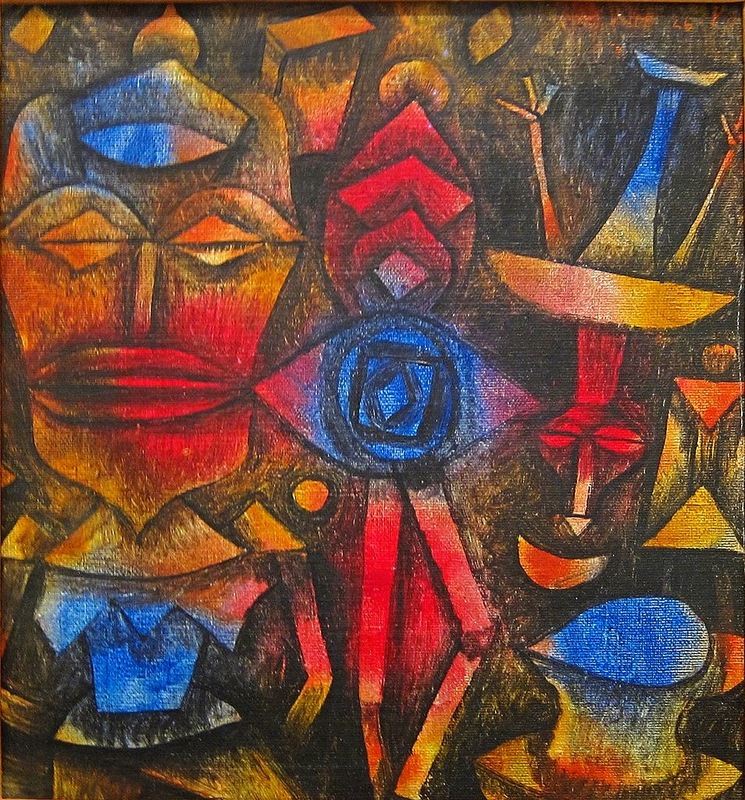 Paul Klee was a teacher at the Bauhaus a famous art school in Germany where Wassily Kandinsky also taught. He was a modern artist that dabbled in many different styles. Learn more about him on the SFMOMA website or on Wikipedia. The subject of, what art is, seems to have always been a topic of debate . A lot of art history is about pushing the boundaries of what art is. The impressionists broke away from the ideology that art had to look “real” or be completely finished. They wanted to capture the motion and atmosphere of a scene. They weren’t concerned with every little detail. 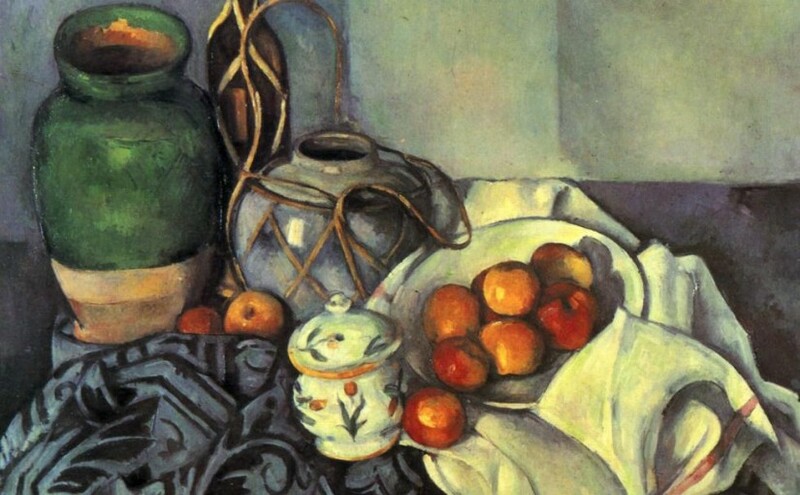 Paul Cezanne and Picasso explored the notion of simplifying shapes in a painting to make a stronger composition. Henry Matisse used bright colors, that weren’t naturally there, to express emotions in his scenes. 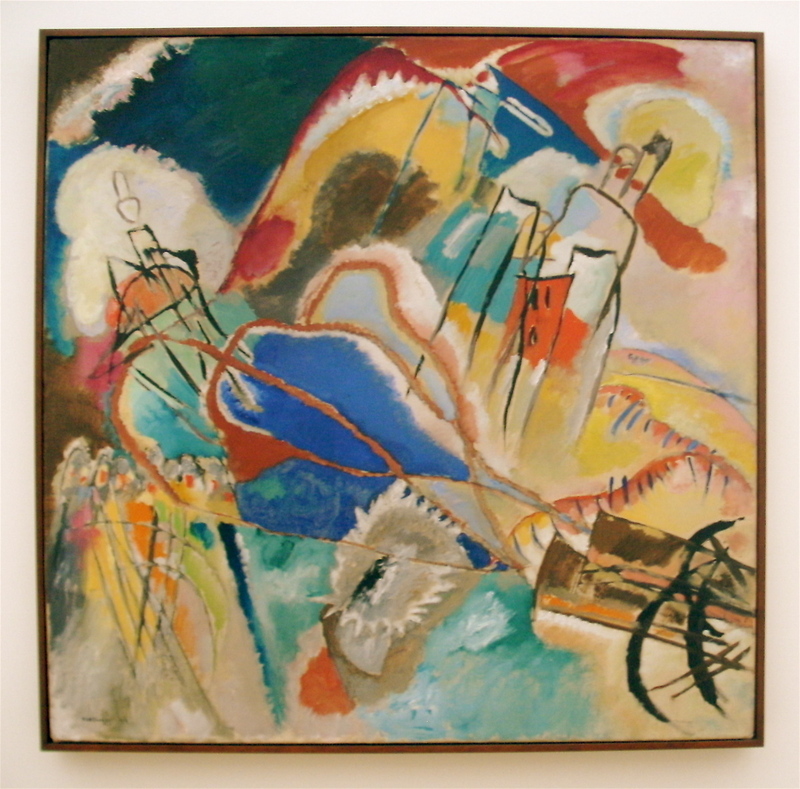 Wassily Kandinsky pioneered abstract art. 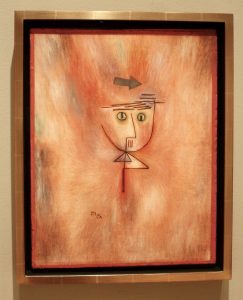 He explored the idea that a painting doesn’t have to look like anything, it can be a composition of shapes, much like an instrumental song (see my post on how visual art compares to music). 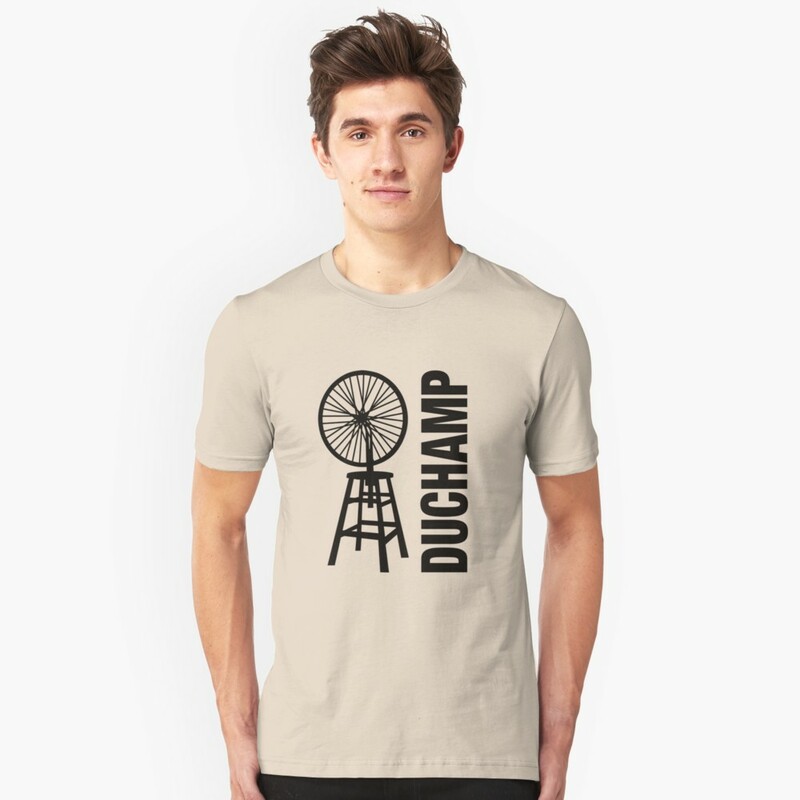 And, maybe the most radical of all, Marcel Duchamp argued that a piece of art didn’t even have to be made by the artist… it could be found! He called these sculptures “readymades” and said each one was “an ordinary object elevated to the dignity of a work of art by the mere choice of an artist.”(1) My take on it is that he was showing his personality through these objects. They amused him or showed his sense of humor (especially the urinal sculpture :). So, what is art? I think the rebellious spirit of all these artists urges us to keep the definition of art very broad. In my humble opinion I think visual art is… Something you make or find (or a combination of the two) and put on display so that people(s) lives can be enriched by viewing or experiencing it. Art is more than just using your talents and skills. It’s about expressing your self and experimenting with things that interest you. In the end, for some pieces, only the artist knows if it is truly art. To be an artist you need to be open… open to new ideas, open to your own thoughts and open to fails and victories on your journey. Author adminPosted on September 25, 2016 Categories Understanding ArtTags about art, understanding art, what is artLeave a comment on What is Art? When I first started out doing art, I lived from painting to painting. Each new painting was going to be my masterpiece! I would pour everything I had into it. I did have fun and was usually fairly happy with the piece but it was never quite as glorious as I expected. I’d post a painting on facebook and get 20+ likes… then post another and get 5! Was I getting worse? While taking an art history class and studying the lives of artists, it dawned on me that most of them weren’t concerned with that one big dynamite piece. 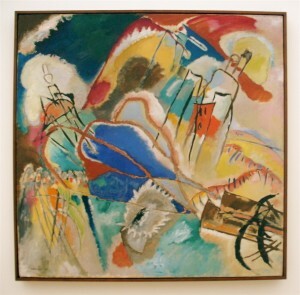 They were interested in experimentation… in learning something as they painted or did other art forms. 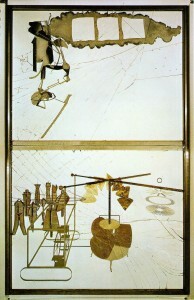 Another example is Marcel Duchamp’s piece titled “Large Glass”. 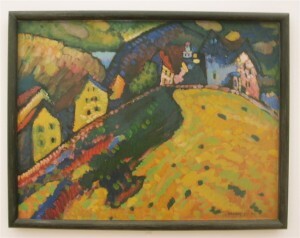 He worked on this piece from 1915 to 1923. The “canvas” of the piece is a large pane of glass. The “paint” used on the piece is mostly dust! Over time the dust would collect. He would then varnish the part of the dust he wanted to keep and clear the rest. The piece was even dropped by movers. Duchamp put it back together and pronounced the piece finished! This obviously was very time consuming but turned out amazing. So the lessoned learned was that art wasn’t just a pinnacle you reach. It isn’t that huge glorious painting you crank out after a couple years of practice. Art is a life long journey and experience. By thinking of it like this you can relax and enjoy. Maybe a work didn’t turn out like you wanted but you learned a lot for the next one. Maybe your art wasn’t excepted into the show, but you put it out there and you can get passed it and try again. Maybe you spent weeks on a little painting. Painting parts over and over but it didn’t even matter because you were having fun and you were experimenting. I believe that art (not just visual… music, writing etc.) isn’t perfected by your talent but by your determination and love of doing it. When I was taking art classes, one thing that I was taught totally changed the way I looked at visual art and design. It was the idea that, similar to music, art had a composition. 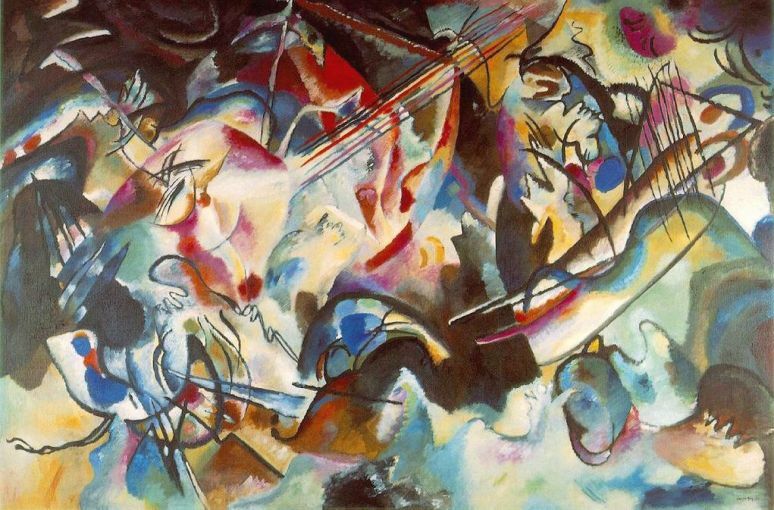 Instead of a composition of beats, notes and tones… visual art has a composition of lines, shapes and colors. Like the rhythm of music, a lot of art pieces have a rhythm of lines and shapes. 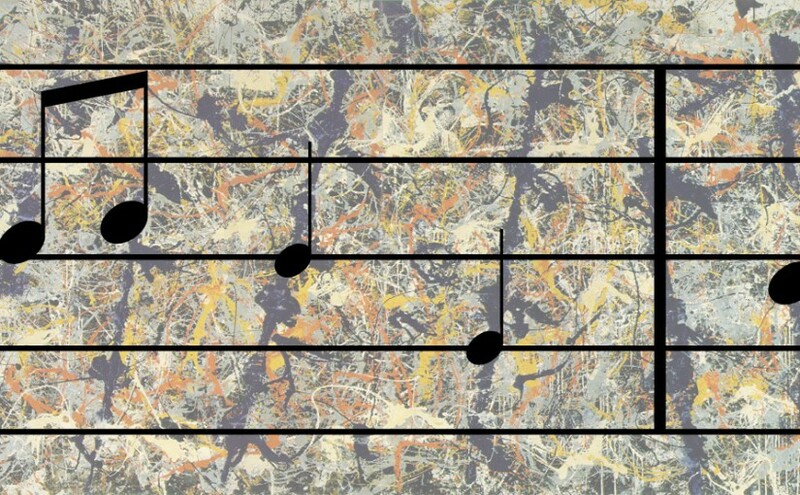 You can see this very pronounced in the dark lines that cut through the painting in “Blue Poles” by Jackson Pollock. 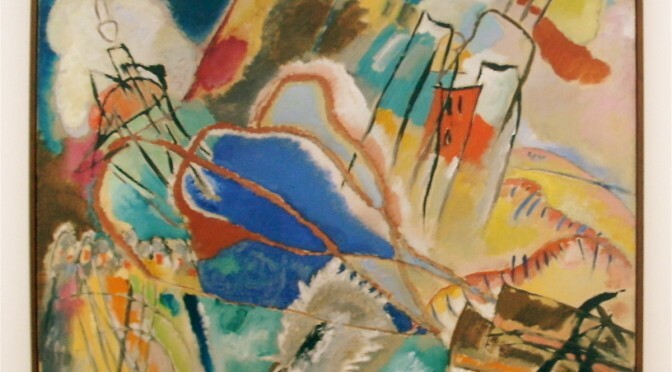 In this image the music bar was overlayed to show the rhythm of the painting. This idea opened up the possibilities in my mind. Painting and drawing weren’t just about rendering objects the best I could in the middle of the canvas. It was now about creating a scene. It was about how the shapes interacted with each other. 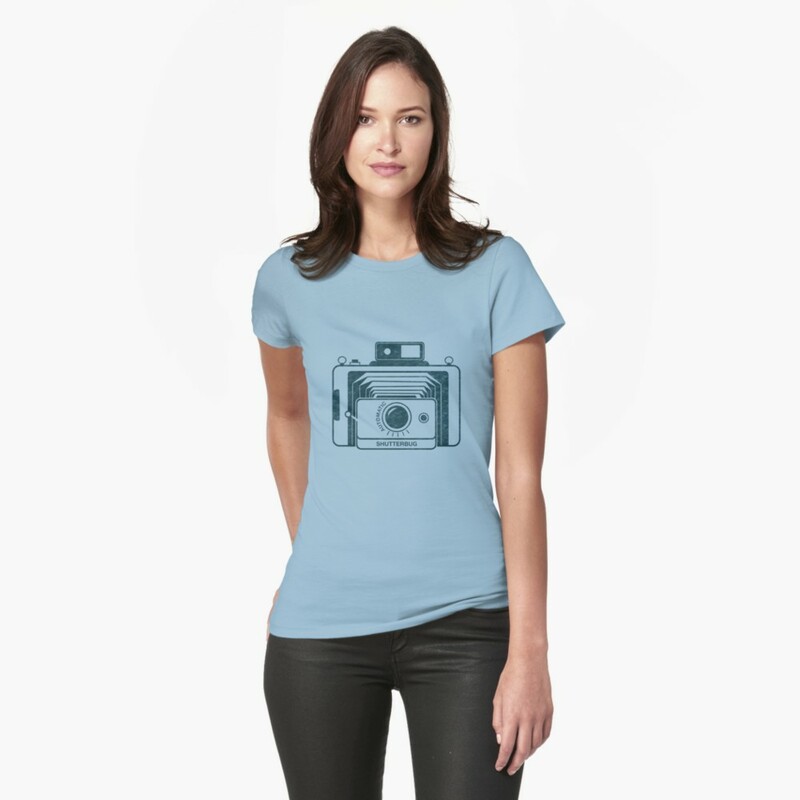 I could create a symmetrical composition to show stability…. or I could create an asymmetrical composition with the focal point on one side to add drama and motion. Also, like music, visual art can create a mood. Rigid shapes and contrasting colors can give a harsh exciting mood like a full rock concert. 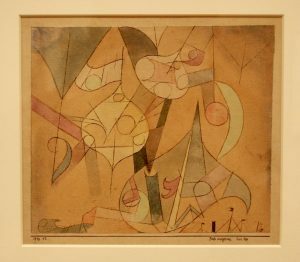 You can see this is the painting by Paul Klee below. While organic soft shapes and light analogous colors can give a calm mellow feeling like a mellow acoustic song. 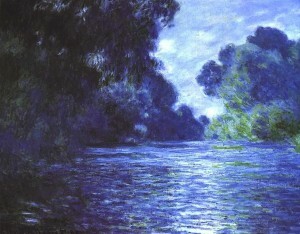 You can feel this in the Monet painting below. Sometimes this is even illustrated in the album art of a band. Of course just adding calculated notes doesn’t make good music. Music comes from the heart and soul. It comes from the expression of the musician. This also carries over to visual art. Drawing shapes on a canvas doesn’t make art. Art is the expression of the artist. The mood they are feeling and the journey of exploration they are taking. Good Art = Comes from heart and soul! 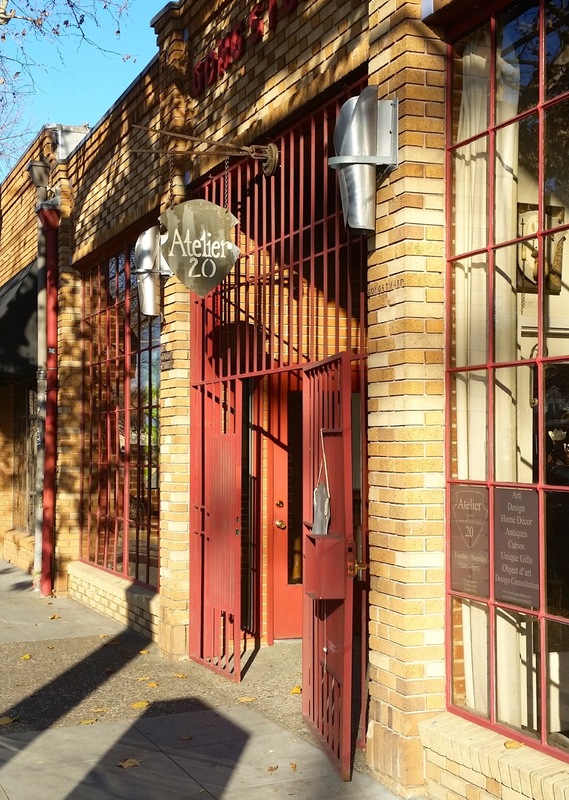 If your new and looking for things to do in Sacramento or if you have lived here for a while and want to see some awesome art and get some good coffee here is my usual journey. These galleries are conveniently in the same building. I show up about noon. It’s a great space. There are something like 20 artists with studios there (they have open studio days once in a while). The art is usually concept style art. Art that shares an idea or thought. It’s always very creative. More on the “edgy side” some would say. 🙂 The couches in the photo were set up like bleachers to listen to local music. 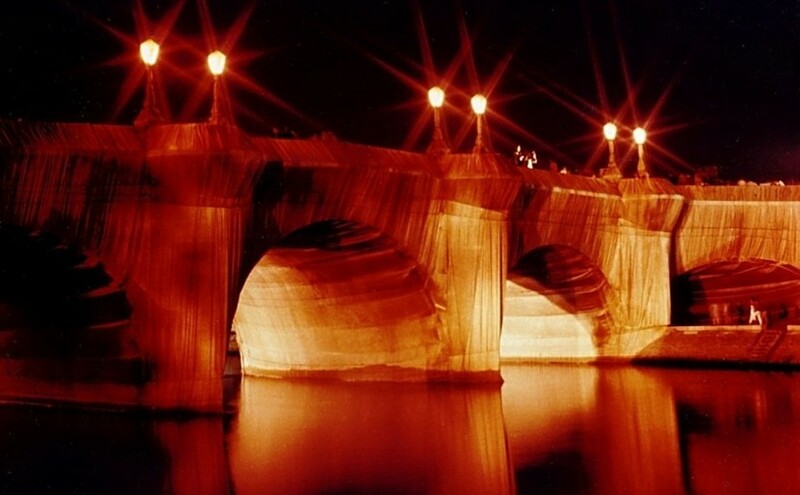 From sculptures to installations to multimedia to paintings to photography, they have it all. 2. 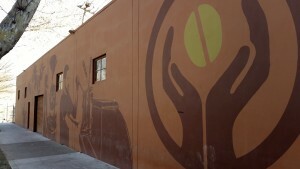 Insight Coffee to get caffeinated! I get back in my ride and head to the 20th and I street area. 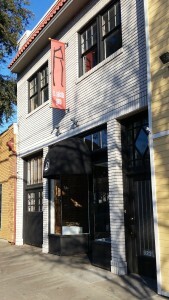 This gallery is partly an antique and jewelry store but it has a room for art exhibits. 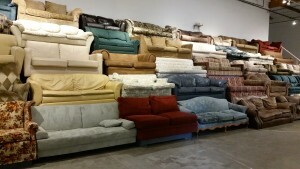 This art is more decorative then conceptual. (By the way, I enjoy both types… I believe they can both be just as expressive and intriguing.) 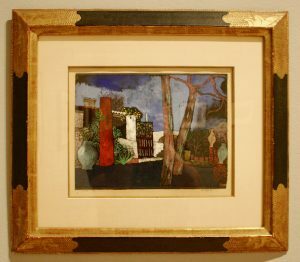 They have had some great exhibits from landscape paintings to abstract art. The jewelery and other objects are worth checking out too. This gallery is only a few doors down. It’s more of an upscale gallery hosting world famous artists. 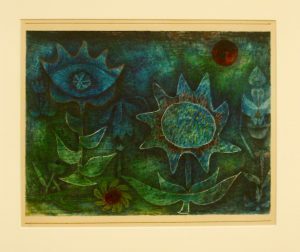 It features all types of visual art from sculptures to mix media to paintings and drawings. It is always very interesting. I’ve never seen 2 shows that are the same. The current show features airplane sculptures made out of many different materials and objects. The gallery is a few blocks away but I walk… it’s down J street so there are lots of cool shops to check out. 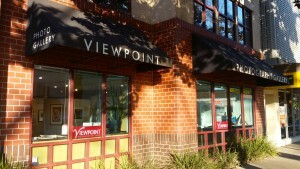 The Viewpoint Gallery is strictly photography. 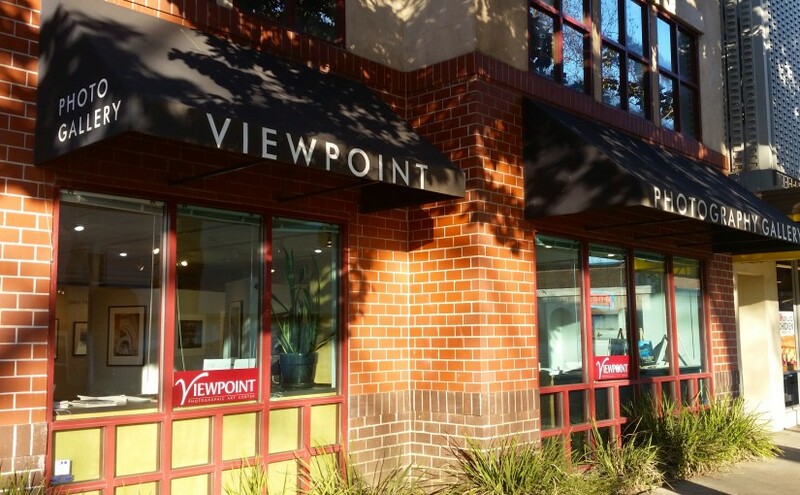 As far as I know it’s the only gallery in Sacramento dedicated only to Photography. 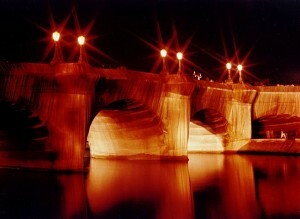 They feature exhibits by world famous photographers and also group shows featuring local artists. They have very beautiful photos. A show that stands out in my memory was one that displayed photos of jazz clubs and jazz musicians… the compositions were great and really showed the mood of the scene. 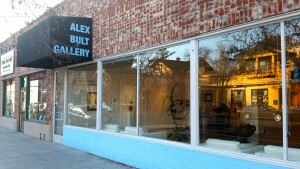 Finally I hike over to Alex Bult. This gallery is also pretty upscale… probably won’t be buying anything anytime soon… well maybe 🙂 … but it’s fun to look. They have some great shows. No 2 shows are the same. The current show features sculptures made out of curved strips of wood from old chairs. It is really creative and awesome. 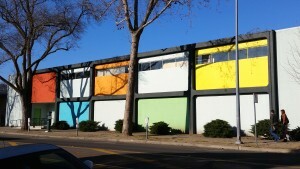 Note: There are many many other art galleries in Sacramento that have great art. I would love to eventually write about them all… but for now this is my usual route… but I’m always searching for new galleries and exhibitions.